Among the diplomats, corporate titans, politicians and celebrities circulating at the World Economic Forum in Davos this year will be a fresh face: Chinese President Xi Jinping. It is no accident that 2017 marks the first year that a Chinese president attends the Davos conference. U.S. president-elect Donald Trump is promising a less activist role for America on the global stage, one that includes curtailing the nation’s recent leadership in combating climate change both at home and abroad. Early signs indicate that China is moving to fill this void by becoming the new global proponent of free trade and multilateral action against climate change. While China was once content to slow-walk the Kyoto protocol, the country’s leadership has grown increasingly hawkish on the need to aggressively shift towards a low-carbon future. Like those in most other nations around the world, China’s political class is unsure how much of Trump’s rhetoric will translate into action. But there are two issues where the country has pointedly criticized the incoming American administration: relations with Taiwan and the climate change file. China’s open advocacy on this issue is a relatively recent phenomenon. It spent decades arguing that domestic emissions reductions were unfair and would hurt economic growth, and was roundly criticized for blocking a more aggressive accord during the Copenhagen climate change talks in 2009. A combination of positive and negative factors have changed the Chinese government’s position, starting with the ever-worsening problem of smog and other environmental externalities as a result of rapid industrialization. This has the potential to stir up unrest among the rising middle classes. Climate change has also sped up desertification of agricultural land, while putting a strain on already-scarce water resources. There are also the economic opportunities on offer, starting with the possibility of becoming a clean energy superpower. China has executed this pivot with surprising speed, signing a landmark bilateral climate change agreement with the United States in 2014 that set the stage for the Paris deal a year later. In 2015 it invested $102 billion (U.S.) in renewables, representing 36 per cent of global expenditures. These investments have been combined with forceful steps to shut down older coal plants and half the number of coal mines in the country. What’s more, the government has set aside $15.8 billion for retraining 1.8 million workers soon to be laid off in the coal and steel industries. While local and regional officials continue to green-light new coal plant construction, Beijing has been stepping in to veto some projects. In October the federal government revoked permits on dozens of new plants, including 10 that were already under construction. China’s energy regulator took this a step further in January, ordering 11 provinces to stop more than 100 coal-fired power projects. Early results are promising, with Chinese emissions dropping 0.5 and 0.7 per cent over the past two years, respectively. The country will also launch its nationwide cap-and-trade system this year, instantly becoming the largest carbon market in the world. The surprise election of Trump is likely to realign the international order in myriad ways. 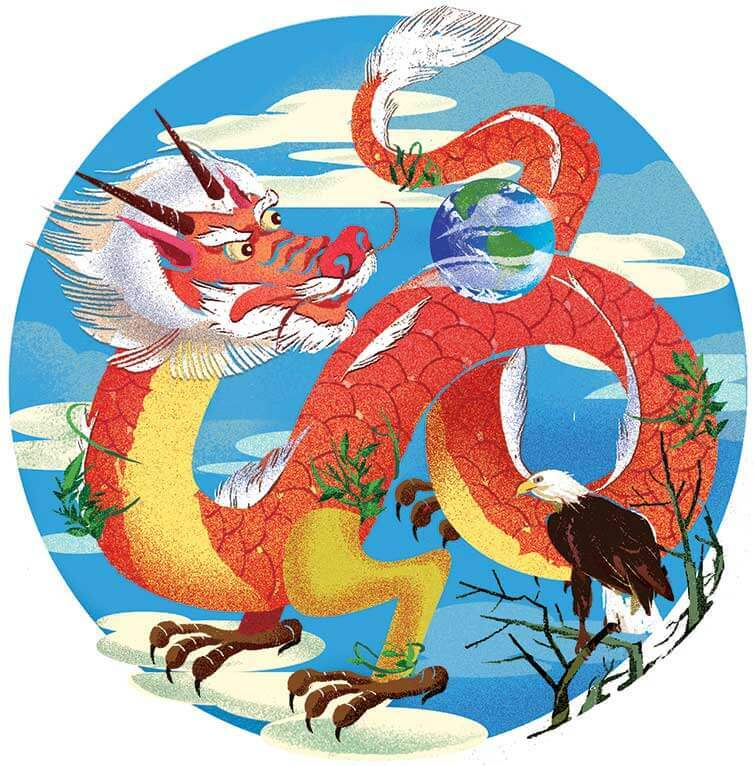 The rise of China as climate hawk should be front of mind for all the attendees in Davos.